This 17 inch MacBook Pro screen with Matte LCD (note the silver bezel) is pretty badly cracked. The colors are appropriately spooky for Halloween. Red, black, orange, and yellow marks across the image on the screen. 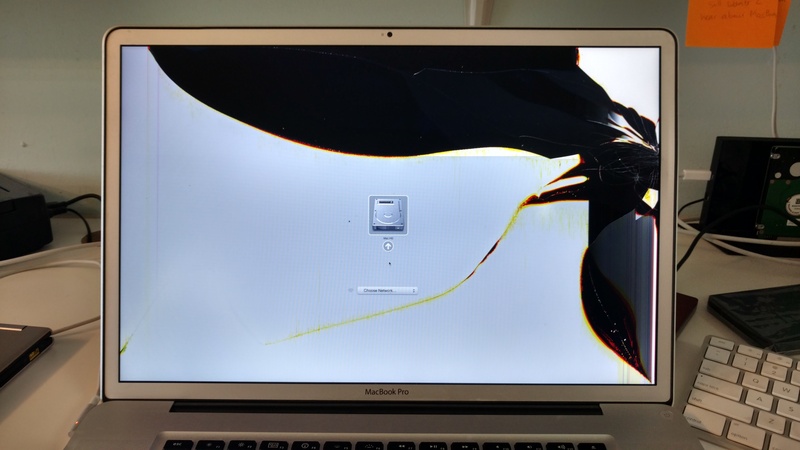 This type of damage is easily fixed by replacing the LCD panel with a new one. No need to give up on that expansive display. 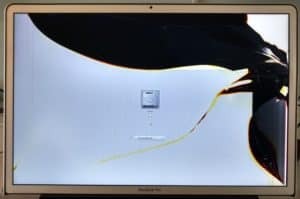 If your 17 inch MacBook Pro is having a similar problem, be sure to contact us first to make sure we have the matte displays in stock, they’re special order.